With its 22 proposals, the Danish government’s new sharing economy strategy says a lot about taxation and a little about workers’ rights. The aim is to give the sharing economy room to grow in Denmark. Presenting the strategy, the Minister for Industry, Business and Financial Affairs Brian Mikkelsen (Conservative Party) said there was a need for more and larger sharing economy businesses. He also wanted more Danes to be able to benefit from the opportunities the sharing economy brings. This would stimulate development and growth which would benefit the environment, society as a whole and private individuals’ economy, he said. Central to the strategy is to make it easier to be a citizen as well as a sharing economy business. The government wants to lower taxes on income generated from renting out accommodation or cars, when the activity happens via a platform which makes sure that revenues are being reported to the tax authorities. A new website will make it easy for citizens and businesses to find answers to their questions about the sharing economy, and the government wants to create a partnership with the social partners to discuss how the labour market best can prepare for the future challenges which the sharing economy might bring. The social partners have reacted positively to the invitation to a dialogue. 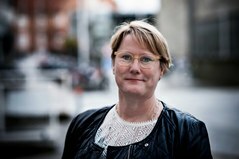 The Confederation of Professionals in Denmark (FTF), which represents 450,000 employees, welcomes the fact that the government invites employer and employee representatives to jointly investigate the sharing economy. If we want to create safe frameworks for people working on the digital platforms, employers, employees and the government need to work together, commented Bente Sorgenfrey, the FTF President. She thinks the sharing economy has so far been a “wild west with no regulation of working conditions or taxation”, and she is happy that the government with its strategy aims to make sure sharing economy income is being taxed. She would have liked to see the government go even further to secure tax revenue. The Danish Chamber of Commerce also compares the sharing economy to the wild west. The sharing economy has great potential when it comes to securing a better use of resources and giving consumers opportunities that they like. 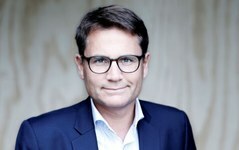 But we must avoid a wild west which operates outside of normal rules, said Geert Later Christensen, Deputy Director at the Danish Chamber of Commerce in a press release. He joins the FTF President in praising the government’s sharing economy strategy for preparing the way forward in terms of revising rules covering the sharing economy, and to secure the taxation of revenues. But he underlines, just like the FTF President, that the strategy is not enough. These measures represent a step in the right direction, but it is crucial that they are now put into action, he says. Around one in five Danes have used sharing economy services, and in 2016 the sharing economy grew by 7.5 percent, according to surveys from Nordea. But so far the sharing economy has only made a small contribution to the national economy. The Ministry of Industry, Business and Financial Affairs estimates that the total revenue for car sharing, private car hire and private accommodation rentals in 2015 was around half a billion Danish kroner (€67m). The sharing economy counts for much more than renting out cars and houses, however, and the sharing is not only between private individuals. The term also applies to digital platforms which make it easy to find people who can carry out a particular task at a particular time. These are often run by commercial companies which avoid permanent staff by hiring labour and skills according to demand. More than 20,000 Danes are offering their labour via the five largest sharing economy platforms that link those who need labour to those who offer it, according to a survey published in early 2017 in the weekly Ugebrevet A4. It looked at the business concept for five different platforms, which according to the Danish Ministry of Business can be categorised as platform economy businesses: Happy Helper, Handyhand, Cleady, meploy and Jobbi. He told Ugebrevet A4 that the kinds of platforms that facilitate jobs, systematically exploit well-known judicial grey areas between salaried work and other types of employment, in order to develop their business concepts. A majority of Danes fear that the platform economy can lead to a society with more temporary workers suffering from low pay and bad working conditions. This is also suggested in a survey made for Ugebrevet A4 by Analyse Danmark. 58 percent agree that sharing economy platforms lead to lower salary levels, while just nine percent disagree. There is no clear definition of the term sharing economy, but it is often used about private individuals or businesses sharing their surplus capacity – e.g. car, house, time – with other private individuals or businesses via digital platforms, in return of payment or other services. This according to the Ministry of Industry, Business and Financial Affairs. According to LO, the term sharing economy should only be used about business models where private individuals share with each other without pay, while the term platform economy is more correct when describing business models involving profit. The term platform economy describes, according to LO, profit-driven businesses whose business models are based on digital platforms.